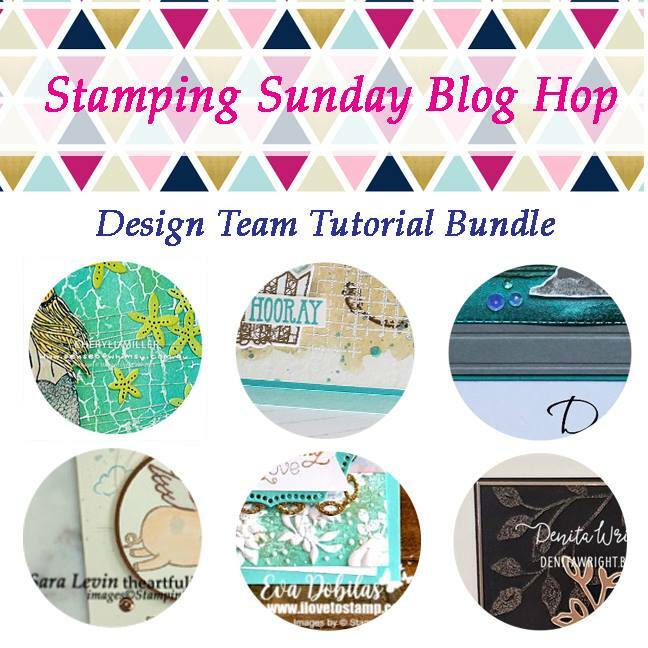 Hi there and welcome to our Stamping Sunday Blog Hop! Today our team is highlighting a few products: Floral Romance (any part of suite), Piece of Cake Bundle or Beautifully Detailed Laser Cut Paper. I opted to go for the Floral Romance Suite and Beautifully Detailed Laser Cut Paper and here are the cards I came up with. And our team is also focusing on creating cards for all levels of crafters, so let me share my beginner card first. This is a very easy and quick card to create. Here are the steps I took. I started out with the card base, which is Petal Pink card stock 4-1/4 x 8-1/2 score and fold at 5-1/2. Next, I stamped the large bouquet from the Wonderful Romance Stamp set on the top right and bottom left corners using Petal Pink ink. Next, I cut a 2 x 4-1/4 panel from the leafy paper from the Floral Romance DSP and adhered it on the card front. Next I cut a 3-1/4 x 1-1/2 Whisper White Panel and using the Banner Triple Punch I punched a banner and stamped the sentiment on it using Petal Pink ink and using Snail adhesive I adhered it on top of the leafy panel. Finally, I punched a small butterfly out of the lacey paper form the Floral Romance DSP using the Butterfly Duet punch. My next card is for a casual stamper, but little more advanced perhaps, however following the instructions you can get it recreated and it’s quite pretty. Well, what do you think? On this card I incorporated the Beautifully Detailed Laser Cut Paper, especially since I used Petal Pink card stock as it coordinates with it. Next, I cut a 3-1/2 x 5 Whisper White card stock and I ran it through the Big Shot using the Lace embossing folder. Next I cut out the beautiful laser cut frame and adhered it on top of the embossed panel using Liquid Glue. I cut a 12″ Petal Pink/Whisper White ribbon and tied around the framed panel in a pretty bow. Next I cut a 3-3/4 x 5-1/4 Whisper White card stock and adhered it under the framed panel and onto the card front. Next, using Stazon I stamped the floral bouquet onto water color paper and using and Aqua Painter with Pear Pizzazz, Petal Pink and Flirty Flamingo inks I watercolored the image and die cut it. Once it dried I used stampin dimensionals I adhered it to the card. Finally I cut a 1 x 2 banner using Petal Pink card stock and the Banner Triple punch and stamped the sentiment using Memento black ink and adhered it using stampin dimensionals. Finally, my last card is for the advanced crafter and I really love this card so much! If you love it as much as I do, the Wonderful Romance stamp set is still available and you can use other dies to play with and at least you are getting a great inspiration for creating this card. Next, I cut a 3-3/4 x 5-1/2 Petal Pink card stock panel and ran it through the Country Floral Embossing folder using the Big Shot. Next I cut a 2 x 5-1/2 Gold Glimmer paper strip and die cut the leafy border and adhered it on the right edge of the embossed panel. I cut a 6-1/2 Petal Pink/Whisper White ribbon and adhered it where the gold glimmer paper border met the embossed panel. Cut another 8″ Petal Pink/Whisper White ribbon, created a bow and using gold metallic thread I tied it to the ribbon I adhered before. Next, I cut the largest oval from the Stitched Shapes Framelits dies using Whisper White card stock and adhered it to the card front using stampin dimensionals. Next, using Stazon I stamped the floral bouquet onto water color paper and using and Aqua Painter with Pear Pizzazz, Petal Pink and Flirty Flamingo inks I watercolored the image and die cut it. Once it dried I used stampin dimensionals I adhered it on top of the oval. Next I die cut two leaves using vellum and tucked them under the oval shape. Next, I cut a 1 x 4 Whisper White card stock strip and punched a banner end using the Banner Triple punch. Gold embossed the sentiment and adhered it to the card bottom section by adding more stampin dimensionals on the middle of the sentiment strip to raise that part. Finally I added a gold seal to the sentiment strip and little pearls in the middle of the flowers. Thank you for stopping by to check out the cards created with the Floral Romance Suite. Hope you are inspired to create some of them! Today’s product details can be found below. Eva, these are sheer gorgeousness! I’m loving all your layered details and those bows….I may need a lesson. Thank you Sara!!! Glad you liked the bows, too. I think we all need to take a lesson from Ruth, though, she blew me away with hers! Wonderful cards Eva. Each one is elegant. I had not thought to use the laser paper but now I know what to do with it. Thanks so much for these lovely cards. Thank you Gail!!! So glad my cards were able to inspire you to use the laser papers. They are so lovely to create with!! These are so pretty and feminine, love them. Gorgeous cards, Eva! The layering is perfection. Already saw your cards on Facebook, love them Eva! Great step-up work! !